Are you looking for a great auto tune up in Grand Rapids? Today's cars are complex with many components working collectively. Over time these components wear out which means a loss of efficiency and performance which equals a loss of fuel economy. At Russ's Service Garage, in addition to needed vehicle repair, we want to educate our customers about preventative maintenance techniques so that they will know when it's time for service. Russ's Master Mechanic Technicians are specially trained to work today's high tech engines. We can help you keep your vehicle running well. GVSU Students get a 10% discount on oil changes auto repair and vehicle maintenance. What is a Full Service Auto Tune-Up? 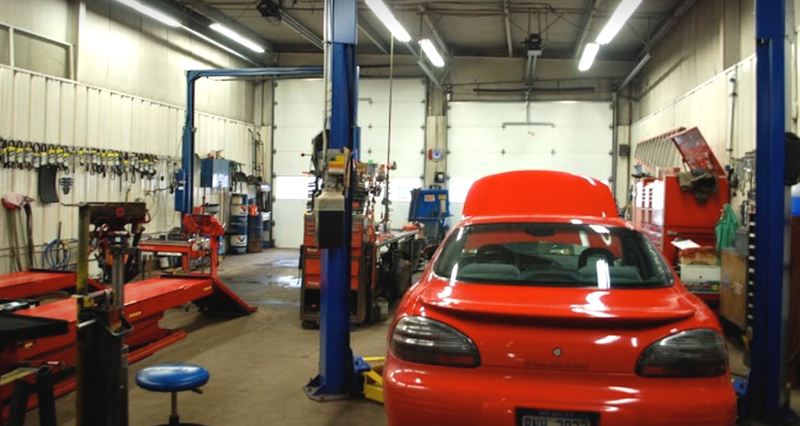 Tip: At Russ's in GR we want to help you extend the life of your vehicle and save you money. Auto Tune-Ups are an important part of your vehicles maintenance program.. Tip: Wheel Alignments performed on our state of the art WinAlign® photo and digital wheel alignment system provide vehicle-specific service instructions, specifications, tools and parts information and accurate alignments to keep your vehicles driving smoothly. Read more on our Alignments Page - click here.